the great Luke Ski – Everything you ever wanted to know about the great Luke Ski! Everything you ever wanted to know about the great Luke Ski! 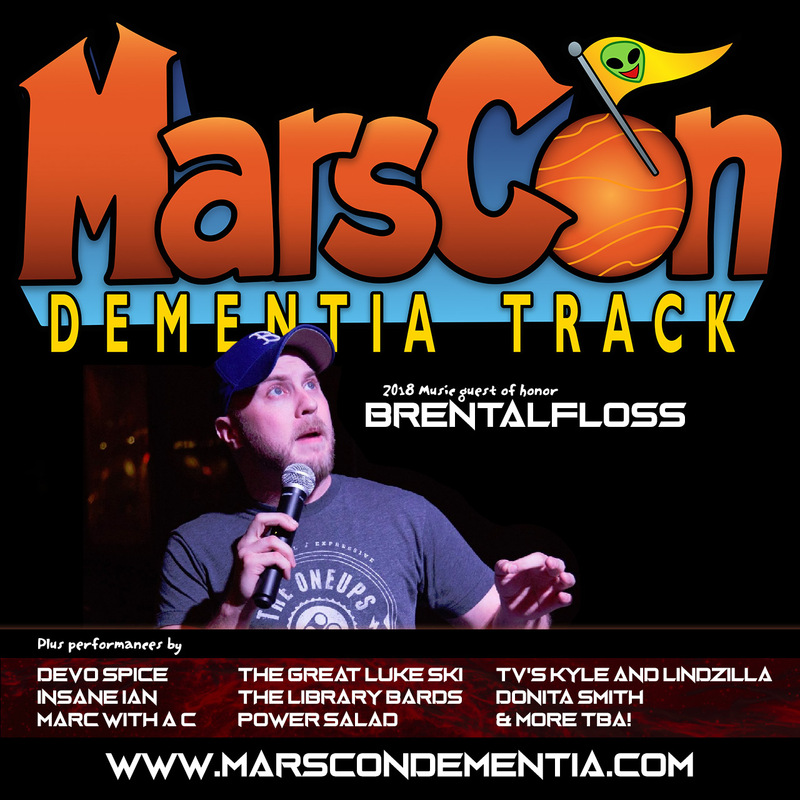 2019-01-16 - Announcing the MarsCon 2019 Dementia Track & Fund Raiser! New FuMP: "I Didn't Have Time To Rehearse This"! For more recent Luke Ski Updates, CLICK HERE. Welcome to the official webpage of 'the great Luke Ski', maker of comedy music for pop-culture geeks! The best way to get up-to-date breaking news on what's currently going on with me is to follow me on Facebook and/or Twitter, and you can also sign up to support me at my Patreon page! I also would like you to encourage you to sign up for my E-Mailing List (in the right column), which is how I create the updates I post. You can see some of my music videos at my YouTube page, and my music can be found at Bandcamp and at the Funny Music Project, a.k.a. "The FuMP", which gives away 2 new free comedy songs every week as MP3 downloads by a collective of acts currently making funny songs for internet shows like "The Dr. Demento Show" and a multitude of podcasts. Speaking of podcasts, I am the co-host of three. 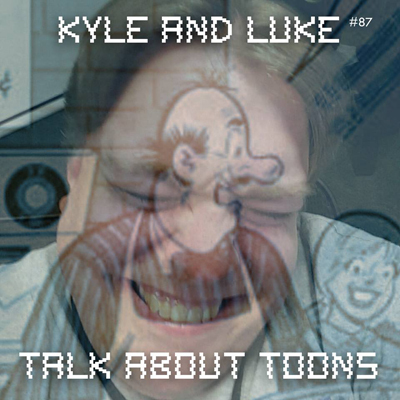 "Kyle & Luke Talk About Toons", a fortnightly animation show with co-host "TV's Kyle" Carrozza. 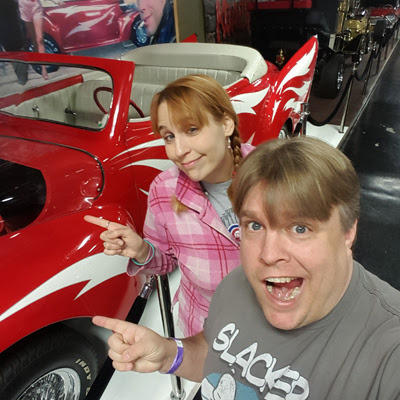 Another is a random chat show with one of my best friends featuring comedy music which gets posted whenever I have the time to edit it, "Luke & Carrie's Bad Rapport" with Carrie Dahlby. And "The Funny Music Podcast" with co-host Devo Spice, where we interview the 2 acts who posted new comedy songs that week at TheFuMP.com, which we record live weekly each Thursday night at 9pm EST / 6pm PST on the streaming audio comedy music station Dementia Radio dot org. At MarsCon, a sci-fi convention held in the Twin Cities MN in early March, I am the chair of the comedy music main stage entertainment, which we call the MarsCon Dementia Track. I am also the Co-Chair of the FuMP's own weekend-long early summer comedy music event in Chicago called FuMPFeST, chaired by Devo Spice. Each year typically one of these two conventions hosts an event called "The Logan Whitehurst Memorial Awards for Excellence In Comedy Music", a concert/ceremony celebrating & awarding some of the best comedy music of the previous year. I also recorded three sketch comedy albums with my colleages Devo Spice, ShoEboX of "Worm Quartet", and Chris Mezzolesta of "Power Salad" under the group name "Cirque du So What?". Note: The CdSW sketch albums are R-Rated, unlike my comedy music which tends to stay in the PG to PG-13 range, so consider yourself warned before checking it out. Those albums came out in 2010~2012, and we hope to record another in the not too distant future. 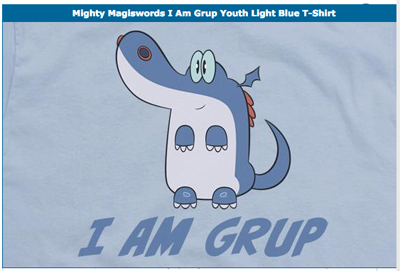 I was a storyboard artist, revisionist, & writer on Cartoon Network's "Mighty MagiSwords", created by Kyle A. Carrozza. 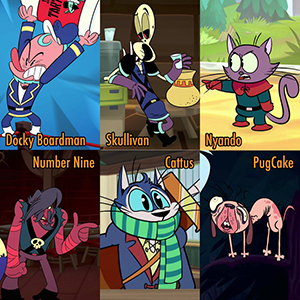 I also got to do voices for some of the characters on the show, including Skullivan, Docky Boardman, Nyando, Number Nine, Cattus the Oneblade, and Pugcake. 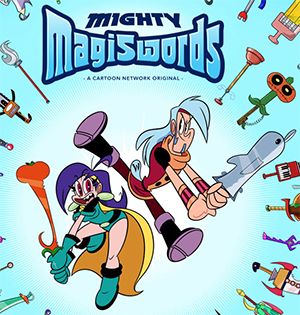 You can see Mighty Magiswords at Cartoon Network's website and App, and episodes are also available to purchase on iTunes, Amazon, YouTube, & Google Play. You can also see many episodes on Hulu. I'm currently looking for work as a storyboard artist or revisionist on a new show, so if you're interested in hiring me, please visit my professional Storyboard Resume Portfolio page, and my LinkedIn page. I am also SAG/AFTRA, so I am available for voice-over work as well. 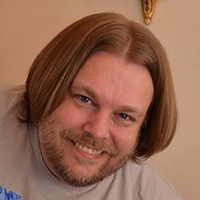 You can hear & see my VO Demo and download them as MP3 or MP4 at my Voice-Over page. Also, I recently grew a beard. So there's that. Thanks so much for visiting my page, and supporting my style of nerdy comedy music! Posted in Uncategorized on January 5, 2018 by LukeSki. Posted in Uncategorized on December 31, 2017 by LukeSki. MarsCon 2018 Music Guest Of Honor and line-up announced! For more details visit http://marscondementia.com! Posted in Uncategorized on December 8, 2017 by LukeSki. PLEASE REQUEST “CANDYBARS” FOR “THE DR. DEMENTO SHOW”! My latest song parody "CandyBars" was #1 on Dr. Demento's Top Ten for May 2017! Thank you all so much to all you calorie-counting fans who requested it! This makes it one of the most requested songs of the year thus far! Woo-hoo!!! 😀 To all of you regular Dr. D. listeners, if you'd like to see "Candybars" make the monthly Top Ten for October 2017, then please REQUEST it for "The Dr. Demento Show" at http://drdemento.com/request , and please include your email address when you do so your request counts towards the Top Ten tally! And to those of you who aren't regular listeners, well, you should be! Check out the show anytime at http://drdemento.com! 2017-09-25 - Please REQUEST "CandyBars" for The Dr. Demento Show TODAY! See Luke Ski live in L.A. area! 2017-07-10 - New "Bad Rapport"! New FuMP "The Crance"! Tons of "Mighty MagiSwords" news! 2017-08-21 - Please REQUEST "CandyBars" for The Dr. Demento Show TODAY! ConFusion 2018 GoH! Posted in Uncategorized on August 24, 2017 by LukeSki. 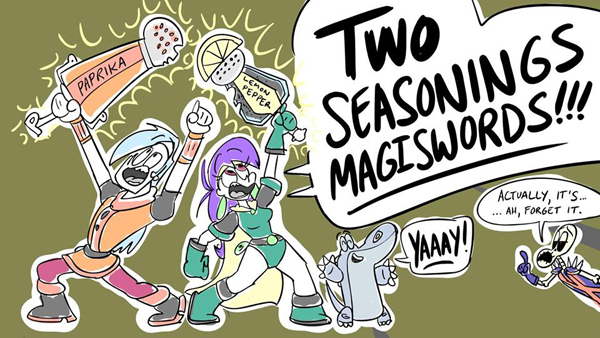 New Episodes of “Mighty MagiSwords” airing all July! - "WITCHY SIMONE RUINS EVERYTHING"
- "RANDOM ACTS OF MEMORY"
- "THEY SEE ME TROLLBLIN"
- "DON'T READ THE COMMENTS"
Posted in Uncategorized on July 1, 2017 by LukeSki. 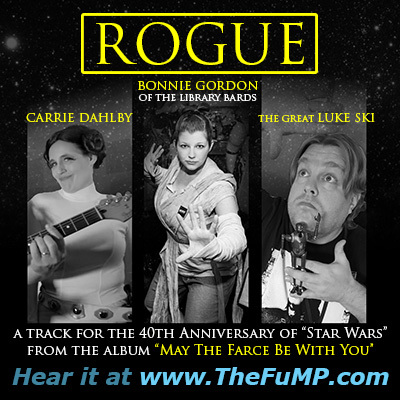 New song “ROGUE” on “May The Farce Be With You” Star Wars 40th Ann. compilation, just $5.25 on 5/25! NOW ON BANDCAMP WITH NEW SONG, "ROGUE"! "This will be a day long remembered", the 40th Anniversary of the release of "Star Wars"! 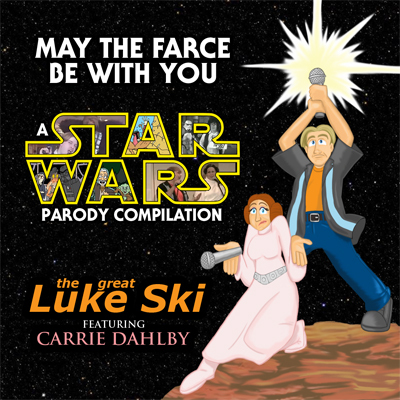 To commemorate that, and by popular fan demand, I have put ALL OF MY STAR WARS SONG PARODIES onto one digital compilation album, titled "MAY THE FARCE BE WITH YOU", available at LukeSki.Bandcamp.com. For today only, May 25th, I'm selling this 53-minute collection for only five dollars and twenty-five cents. Yes, it's $5.25 on 5/25! After that, it'll be $9.99, so get it today and spread the word throughout your internet galaxy! For this day and this collection, I have created a new "Star Wars" parody, "Rogue", which features the Urso-good Bonnie Gordon of "The Library Bards" on lead vocals, and the Leia-to-my-Luke Carrie Dahlby on background vocals, with a "most impressive" backing track by Jeff Dutton, aka Bonecage. You can download this track for free right now at the FuMP, http://www.thefump.com . SO, HERE'S THE IMPORTANT PART THAT I NEED YOUR HELP WITH! If you're reading this update, chances are, you already own all of the tracks on the "Farce" collection, except for "Rogue", which you can get at the FuMP for free. So, the "Farce" collection wasn't really made for you. It was made for all of the people that you know and talk to on social media who DON'T have any of my songs, but you know would love them if they heard them. I'm doing this $5.25 on 5/25 deal as a promotion to try to get some attention to myself today as the nation's premiere maker of nerdy comedy songs that nobody has ever heard of. So PLEASE PLEASE PLEASE share the Bandcamp album link (http://lukeski.bandcamp.com/album/may-the-farce-be-with-you) and the FuMP link to "Rogue" (http://www.thefump.com/fump.php?id=2196) to your Twitter, Facebook, Tumblr, Instagram, Google+, MySpace, LiveJournal, smoke signals, semaphore, morse code, and two tin cans with a string between them. Any online attention and press you guys can get me today would be very much appreciated. Thanks everyone, and I hope you all enjoy this surprise bonus Thursday FuMP track. Celebrate Star Wars today like an ewok drumming on a stormtrooper helmet, and may the force be with you, always. - T-SHIRT ORDER DEADLINE IS MAY 26TH! - HOTEL BLOCK DEADLINE IS MAY 26TH! - REGISTRATION DEADLINE IS MAY 31ST! Weekend badges are $50 through May 31st, after that you'll have to buy them at the door. - FuMP MUSIC VIDEO CONTEST DEADLINE IS MAY 31ST! So far we only have ONE entry, and there are three prizes! So turn your camera on, film a FuMP video, and win something! SUNDAY, 2 PM - LUKE SKI CONCERT!!! This year's Music Guest Of Honor is Henry Phillips! Also performing: Peter Wildman of "the Frantics", Worm Quartet, the great Luke Ski, Insane Ian, The Gothsicles, Carla Ulbrich, Nuclear Bubble Wrap, Smashy Claw, Reformed Whores, Bad Teenage Moustache, Tom Tuerff, and Boy Meets Robot. Special events include: The 7th Annual Logan Awards for Comedy Music, the Dumb Parody Ideas contest, live podcasts, and more! are for sale in the Cartoon Network store! The new production blog by the MagiSwords staff! Luke joined Tony and the Some Jerk Crew to review this awesome movie! 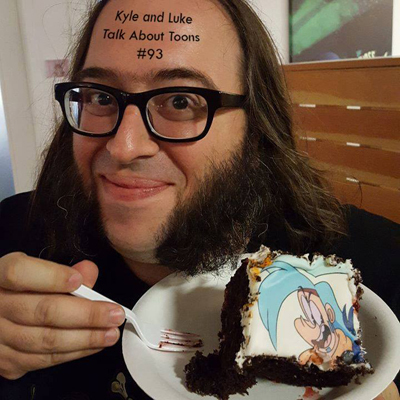 - LUKE SKI APPEARED ON THE GTFO PODCAST! 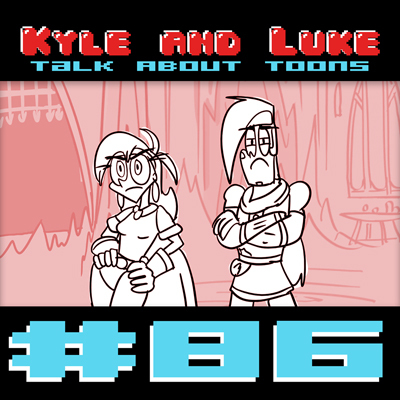 In Episode #362, Luke Ski talks about his latest song "Rogue"! Posted in Uncategorized on May 25, 2017 by LukeSki. New Luke Ski song “CANDYBARS” at the FuMP! 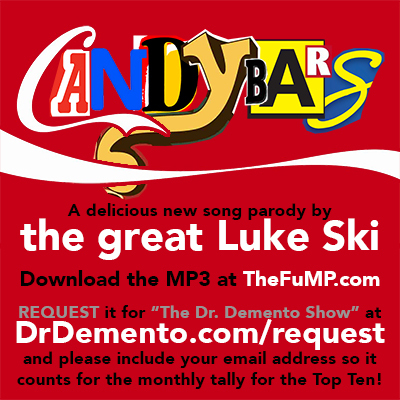 Hear & download my new song parody "CANDYBARS" at http://www.thefump.com, and please request it for "The Dr Demento Show" at http://drdemento.com/request (and include your email address so it counts for the Top Ten tally)! Posted in Uncategorized on April 19, 2017 by LukeSki. New “Bad Rapport”! 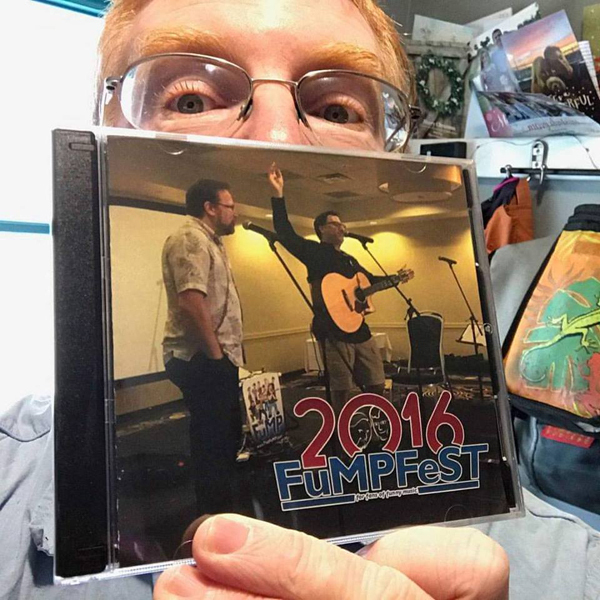 March 31st deadline for FuMPFeST 2017 registration & ordering Power Salad’s Vinyl LP! I wanted to give FuMPFeST registration and Power Salad's Vinyl LP a bump since they both have deadlines on March 31st. Also, I finally got a new episode of "Bad Rapport" posted. So, here's a quick update. 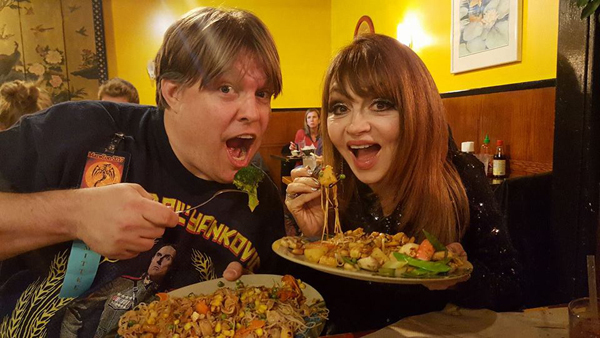 - POWER SALAD TO RELEASE VINYL ALBUM “VAUDEVILLE”! Special edition album only available via pre-order, deadline March 31st! - FuMPFeST 2017 REGISTRATION DEADLINE IS ALMOST HERE! Weekend badges are $40 through March 31st, after that you'll have to buy them at the door. was played on "The Dr. Demento Show"! If you'd like to see it make the monthly Top Ten, then REQUEST for him to play it again! MARSCON 2017 BATTLE ROYAL is now up on YouTube! See what went down when your favorite bufoon Bloomington brawlers duked it out! - "ONE MOVIE LATER: BEAUTY AND THE BEAST"
to review the new live-action remake of Disney's "Beauty And The Beast"
Posted in Uncategorized on March 27, 2017 by LukeSki. FuMPFeST info! New track at the FuMP! 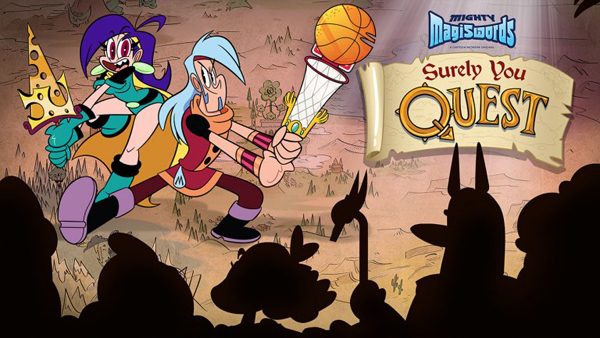 Mighty Magi-News! Old ladies hip-hop dancing! And more! NEW FuMP TRACK featuring Insane Ian and Devo Spice! Download it for free now at the FuMP dot com! See list of acts already booked to perform this June in Chicago! featuring “WEIRD AL” YANKOVIC, final battle boarded by Luke Ski! 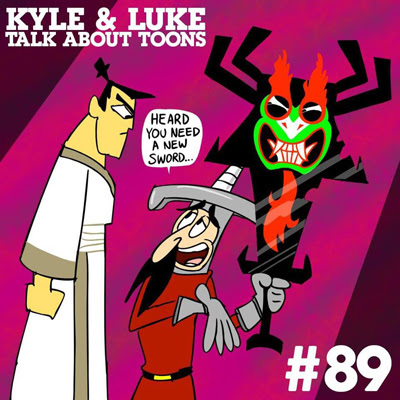 by Channel Frederator (Tooned Up #243) mentions Luke Ski and is full of awesome trivia! and Lindsay Smith as we storyboard and character design on “Mighty MagiSwords”! Use the MagiSwords you’ve collected on MagiMobile to fight beasts and earn Jemms! - WHAT'S LUKE PLUGGING NOW? 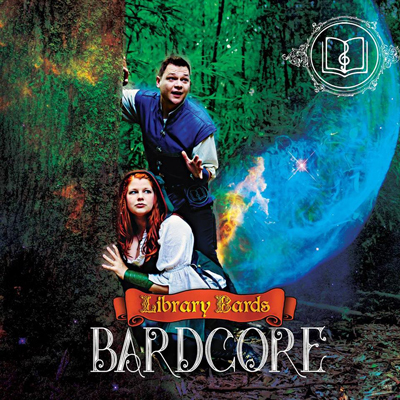 THE LIBRARY BARDS RELEASED THEIR FIRST FULL-LENGTH COMEDY MUSIC ALBUM, "BARDCORE"! 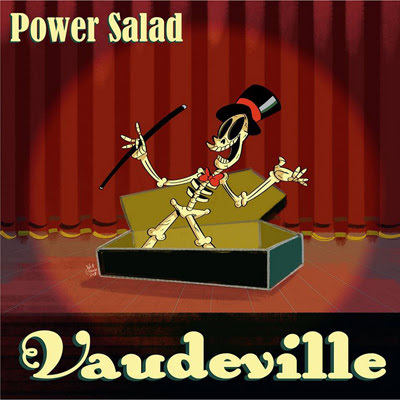 POWER SALAD TO RELEASE VINYL ALBUM “VAUDEVILLE”! and in #351 Luke Ski talks about "Spam (Let The Pork Be Pork)"
Posted in Uncategorized on March 10, 2017 by LukeSki. MarsCon 2017 is almost here! Buy the Dementia Track Fund Raiser MP3 album now! 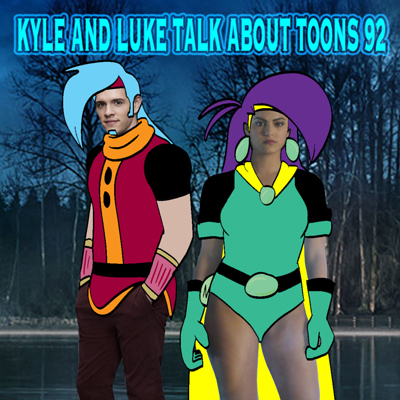 & TV'S KYLE with LINDZILLA! Please head over to the Shop page and pick up the MarsCon 2017 Dementia Track Fund Raiser MP3 album! 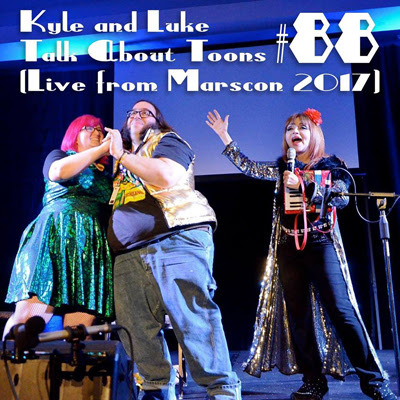 It's nearly 4 hours of live concert recordings from MarsCon 2016, for only $20.00! All proceeds cover the hotel costs of the track performers! Posted in Uncategorized on February 17, 2017 by LukeSki.